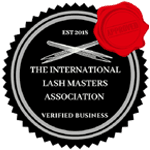 Eyebrow extensions spray tanning lash refresher are all inquiry only flexible one on one training organized between student and trainer pease call if email to arrange a suitable training date . All other courses have set dates but if you can’t find a suitable date please let us know as we try our best to be flexible . For one on one training please contact to arrange a suitable training date if you would like one of our trainers to come to you please contact us and refer to terms and conditions in traveling .